Saturday I was at a meeting where a speaker, talking about hydro-fracking, emphasized the importance of casings in gas wells. 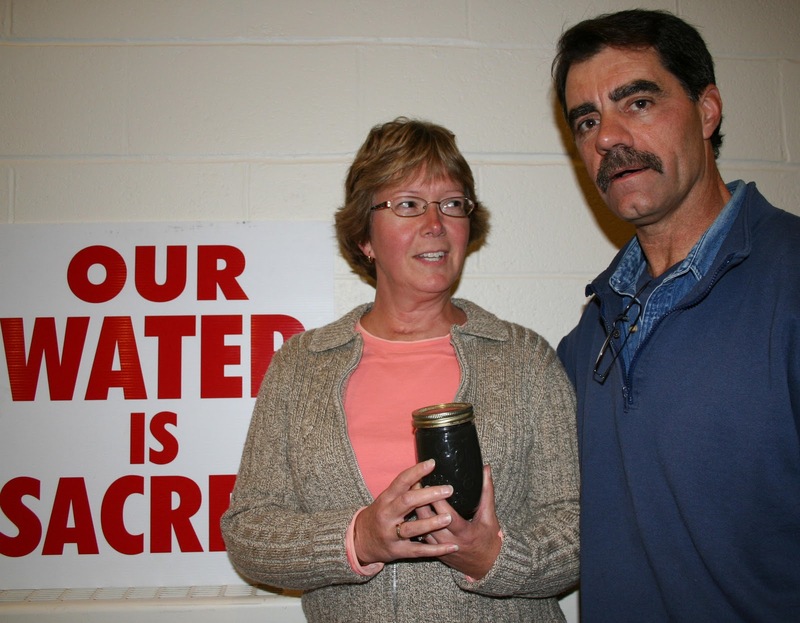 A good cement casing will protect your groundwater from potential contamination, he said. The problem with Dimock was the casing, not the fracking, he insisted. OK. 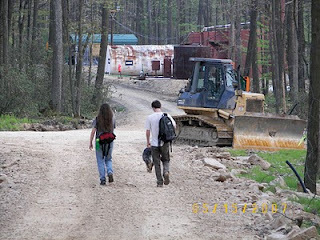 So now in both PA and NY the regs call for cement casings in the gas wells. Layers and layers of protective casings. But, according to John Broder's article in today's New York Times, both Halliburton and BP knew weeks before the fatal explosion of the Macondo well in the Gulf of Mexico that the cement mixture they planned to use to seal the bottom of the well was unstable. And they still went ahead with the job. It won't matter how many layers of cement casing they put in if the cement is no good. 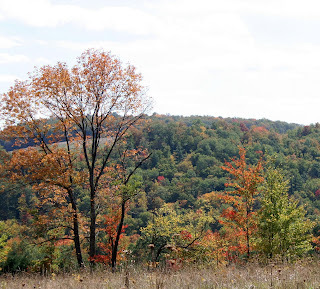 New York citizens have until 4:45 pm this Friday to let NY Department of Environmental Conservation (DEC) know how they feel about leasing state forests for gas and oil drilling. 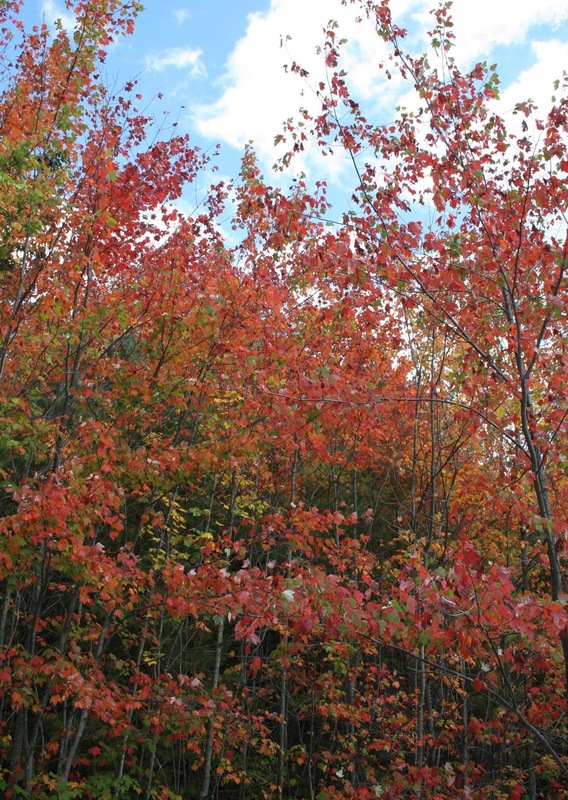 That's the deadline for commenting on DEC’s “Strategic Plan for State Forest Management”. 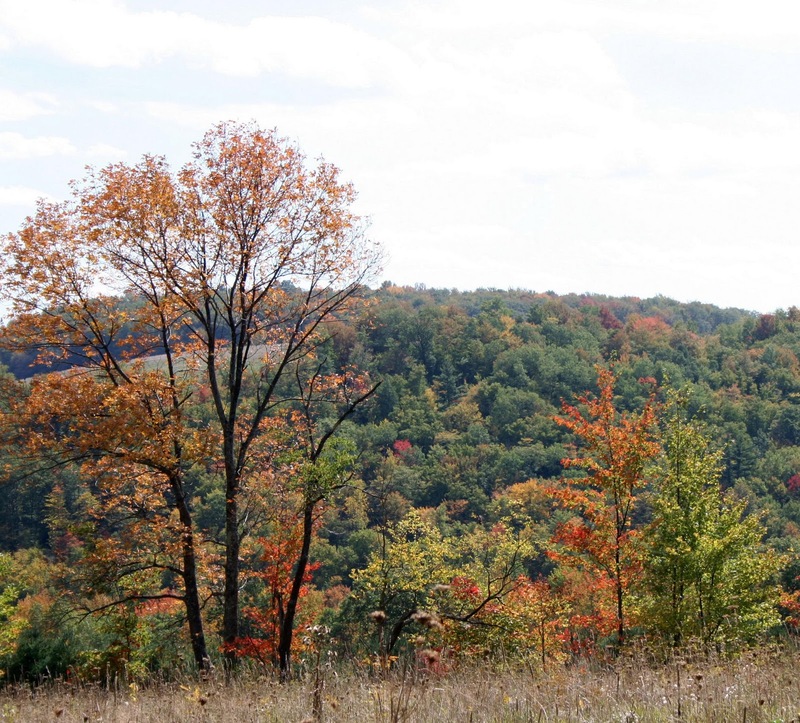 A recent evaluation of the state forest system conducted by the Department of Conservation and Natural Resources showed that additional leases could endanger the environmental quality of the forests. 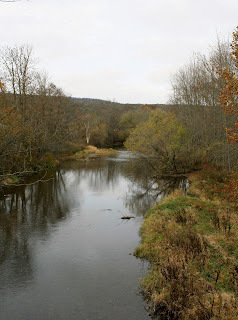 Not only would further leasing – and drilling – alter the ecological integrity and character of the forest system, but it would also “devastate our ecotourism industry and jeopardize the green certification upon which the state’s forest products industry depends,” said Rendell. After noting that the forests provide recreation opportunities that draw tourist dollars into the state, and the importance of the lumber industry, Rendell said, “We simply cannot risk subjecting these sensitive and high-value tracts to the same kind of environmental accidents and mishaps that have happened on private lands elsewhere in the state because of the drilling industry’s poor practices.” You can read his Oct. 26 executive order here. 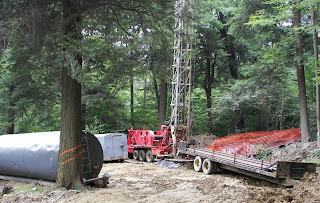 Given PA’s experiences with Marcellus drilling, you’d think the NY DEC would be paying attention. Maybe they are. 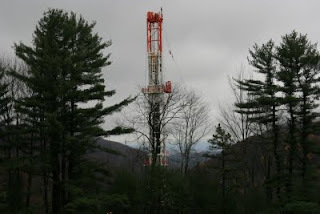 Maybe the folks at DEC understand how industrial drilling will harm the state’s forest, but they can’t say anything because they’ll get fired…. 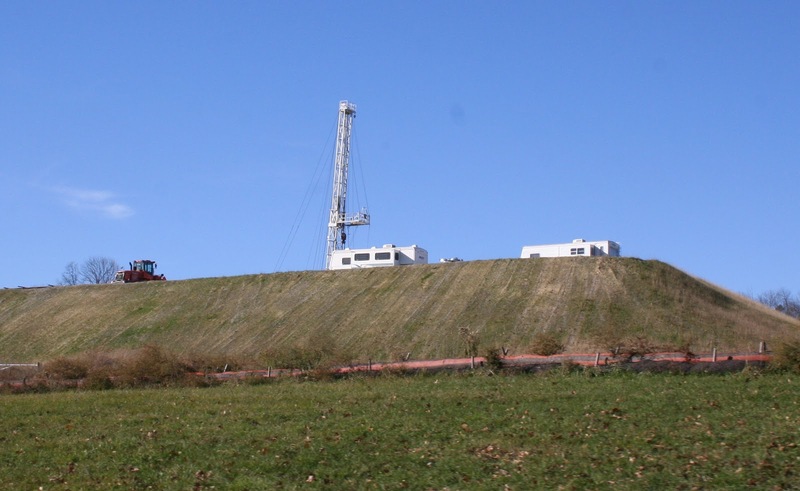 Back in July, Range Resources promised to voluntarily disclose the composition of each of the hydraulic fracturing components for all their Marcellus wells on their website. It took them about a month, but in late August Range posted the first 8 completion reports: five in the Goettel Unit and three in the Baker Unit in Washington County, PA. 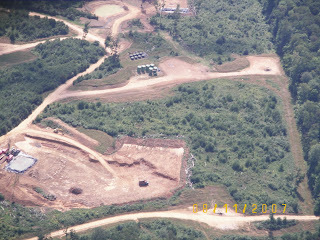 Range explained in their press comments, and again on their website, that their disclosure will “provide regulators, landowners and citizens of the Commonwealth an accounting of the highly diluted additives used at each well site, along with their classifications, volumes, dilution factors, and specific and common purposes.” Range is submitting this same information to the DEP as part of their well completion reports. Time and again Range has explained that they believe the hydraulic fracturing process is environmentally safe. 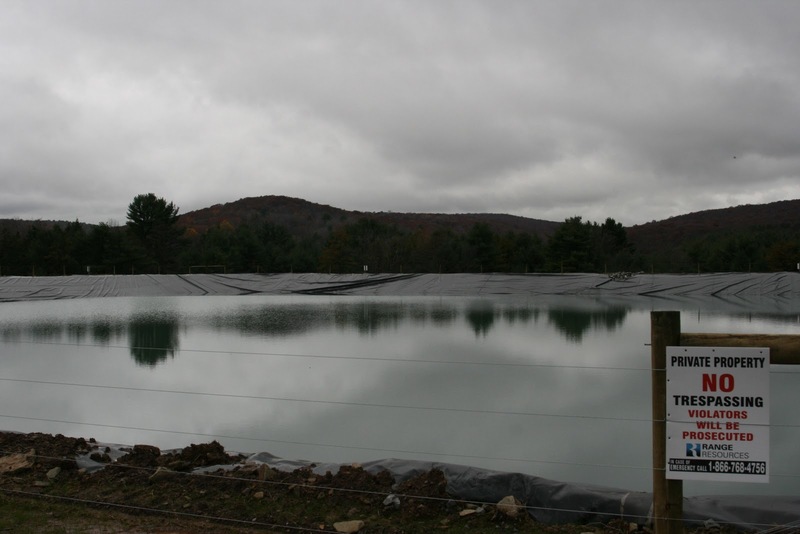 Their reasons: the Marcellus shale is generally located more than a mile below the water table and is isolated by more than three million pounds of steel and concrete casing. Also, the chemicals are “extremely” diluted, making up less than a half a percent of the total fracking fluid, they say. True, but those small amounts add up. 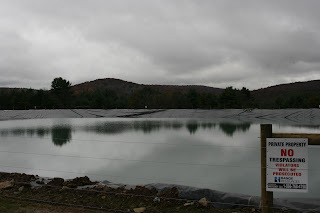 The average frack job uses about 4 million gallons of water. Even if only 0.14% of that is chemical additives, as listed in one of Range’s completion reports, that still represents 5600 gallons of chemical injected into the ground. Not a lot for a single well, but multiply that by the number of wells in any given area, or on any given well pad, and it adds up. But, I digress. The point here is that Range Resources is following through with their promise to post completion wells, and you can read them at their website. One thing you will notice is that Range is not using a long list of chemicals at each well – often five to seven products. The only problem I have with their reports is that they continue to list the only the hazardous compounds listed on MSDS, not a complete listing of chemicals in the compounds. Their friction reducer, for example, they list as containing no hazardous compounds, so they are not disclosing any of those chemicals in their drilling reports to DEP, or to the citizens of PA.
NY Department of Environmental Conservation (DEC) commissioner, Alexander "Pete" Grannis, got the boot yesterday over a kerpuffle about a leaky memo, extreme budget cuts and, as one guy in Governor Paterson's administration put it, "insubordination". The governor's budget office had directed state agencies to slash their budgets, demanding that DEC slice 6.6% of its workforce. That's 209 people over and above the 600 already cut since April 2008. Agreed, every agency should do its part to reduce the state payroll, but Grannis complained that DEC was targeted disproportionately. "DEC accounts for approximately 2.5% of the workforce," he wrote, "yet DEC's layoffs will comprise more than 10% of the 2,000 positions the Governor plans to eliminate." The problem with these extreme reductions, says Grannis, is that the DEC's federal and state mandates have continued to grow. Cuts at this time will fundamental compromise "the Department's responsibilities to preserve the state's environment, protect human health and meet its obligations to the public," he wrote. Even now, Grannis noted that DEC is already responding to and cleaning up fewer petroleum spills. They don't have enough people. DEC's inspections and enforcement activities have dwindled for all programs, Grannis says, including hazardous waste, air emissions, and mining and drilling safety. They don't have enough field inspectors. DEC's reviews of environmental impacts and issuance of permits now takes longer, Grannis says. "There is less oversight of mine safety and oil and gas drilling, and efforts to plug leaking abandoned wells have been cut." Why? "All the meat has been stripped from the bones, and some of the bones have disappeared," Grannis wrote. The only solution is to start eliminating programs. But what should DEC eliminate? Hunting, fishing and recreation? Regulatory oversight? Drilling permits? "Ironically, these cuts have come in the midst of increasing recognition of the DEC's importance to economic development." 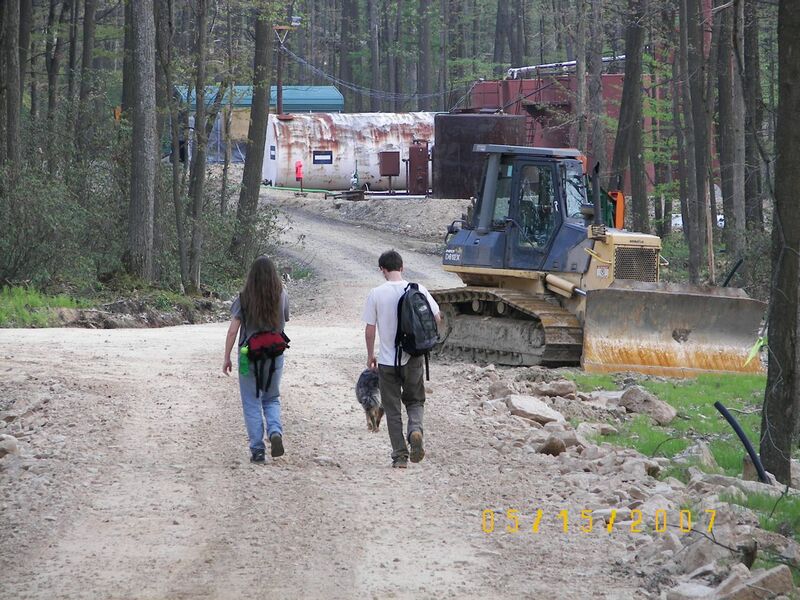 Without permits, campers can't camp, hunters can't help manage the deer herd, and drillers can't exploit all those vast Marcellus reserves they are so eager to drill.To meet the Governor's budget goals, NY may have to turn some of its programs back over to the federal government for environmental oversight. Apparently the budget office does not want to hear this bad news. 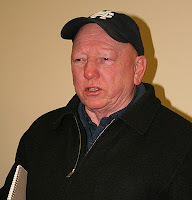 And someone - Grannis swears it wasn't him - leaked the memo to the Times Union of Albany. The governor's office, concerned about the memo leak, asked Grannis to resign. He refused and so on Thursday, the Governor's office gave Grannis the boot. You can read the now infamous October Layoff Memo here or at Scribed. Last week some "concerned citizens" took out a full page ad in the Mulligans Shopping Guide (click to page 2/3). "Enough Already" screamed the red letters above a graphic of a waterline stamped with the red circle-and-slash. No waterline to Dimock, these people say. 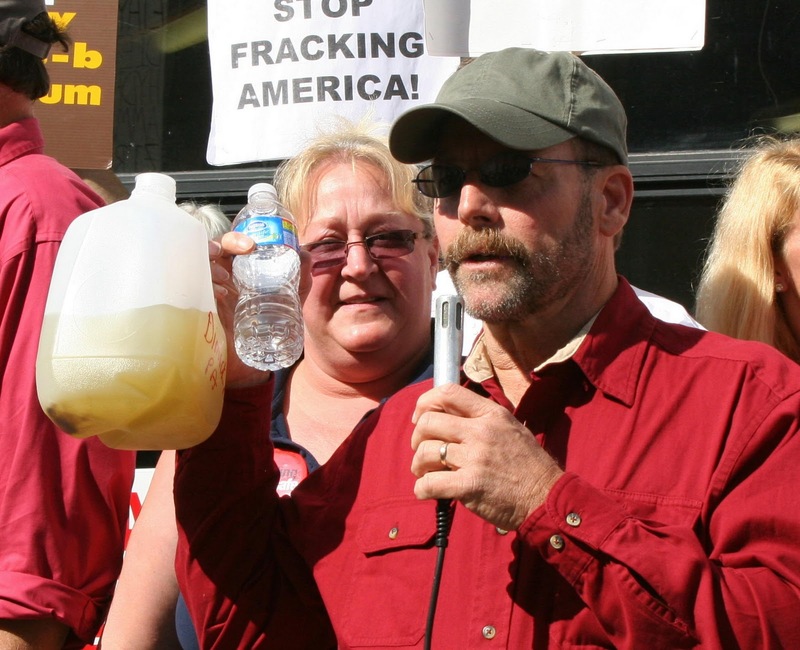 Why should the taxpayers of PA pay so a dozen people, whose wells have been rendered useless from gas drilling, can have safe drinking water? It would be cheaper just to drill another well, right? And so, these good people have invited one and all to a Public Meeting tomorrow night, October 21, at 7 pm in the Elk Lake High School Auditorium. And they have invited people to sign petitions available at these places of business: The Inn at Montrose, Warner Quarries, Guy Parrish's, Lockharts, Brunges Commercial Supply, Taylor Rentals, PJ's Cafe and the Rock Mountain Sporting Clays. I don't know about you, but I'm thinking that even people who don't have drinking water might have been inclined to drop by the Inn at Montrose for a bit of food and grog.... at least till now. The Department of Environmental Protection (DEP) recently announced a permanent solution to the drinking water problems in Dimock caused by gas migration from Cabot Oil & Gas Corporation wells. DEP was forced to take action since Cabot continues to deny responsibility for the contamination, despite overwhelming evidence of its responsibility. Since that announcement was made, Cabot has launched a public relations campaign and much misinformation has been brought forth concerning who will be party to that solution and who will end up paying for it. Cabot is responsible for the gas migration that has caused families to be without a permanent water supply for nearly 2 years and the Commonwealth of Pennsylvania will seek court orders to make Cabot pay for all costs. But we cannot wait for Cabot to fix the problems it caused and to do the right thing. In the interim, PENNVEST, an agency that finances water and sewer infrastructure projects, will be asked to provide funds to pay the estimated $11.8 million cost for Pennsylvania American Water Company to construct a new, 5.5-mile water main from its Lake Montrose treatment plant to provide water service to the residents of Dimock. 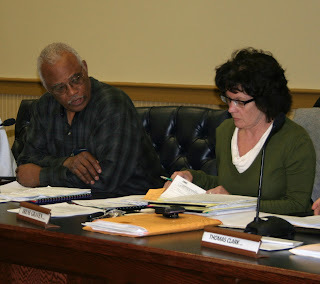 Again, the Commonwealth of Pennsylvania will then aggressively seek to recover the cost of the project from Cabot. No one in Dimock or Susquehanna County will pay for it and local taxes will not be increased as the result of it. Residents along Route 29 will have the option to tap into the line if they so choose. No one will be forced to hook up to the new public water supply. The new water line will also boost the value of homes and businesses near it. This action is being taken based on overwhelming evidence that proves the Cabot wells are the source of the contamination. DEP has collected ample evidence tying methane found in private water supplies to Cabot’s wells. We have witnessed and chronicled bubbling gas and high pressure readings from a number of wells that prove poor well construction, and taken readings that show excessive gas levels that could only exist in wells that are leaking. Sophisticated testing has “fingerprinted” gas samples and matched the gas found in five homes to the gas leaking from the nearby Cabot wells. 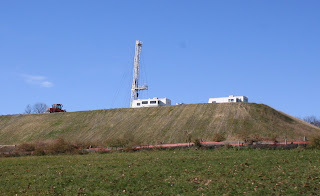 Additionally, the gas wells in many cases are less than a thousand feet from the homes where, by law, it is presumed gas drilling caused any pollution of water wells that may result. The residents of Dimock have already paid a high price for Cabot’s unwillingness to accept responsibility and provide a satisfactory solution. Cabot will be the one paying the final bill. Perhaps next time Cabot will do the job right the first time and avoid expensive repairs. Marcellus drilling – even without any accidents or spills – threatens watersheds. At least that’s what preliminary data show, say two scientists at Philadelphia’s Academy of Natural Sciences. David Velinsky and Jerry Mead, working with U of Penn graduate student Frank Anderson, showed a definite relationship between environmental impact and drilling density (how many wells are drilled in an area). They found a significant reduction – 25 percent – in the populations of salamanders and certain aquatic insects in watersheds where there was more drilling activity. The scientists examined nine small watersheds in Pennsylvania: three had no drilling in the area; three were “low density” drilling areas, with an average of one well per 20 to 40 square kilometers (4240 – 9885 acres); three “high density” watersheds had anywhere from four to eight wells for that same area – a density close to the 640 acre units proposed for NY Marcellus wells. They tested dissolved oxygen, pH (acidity) and conductivity. 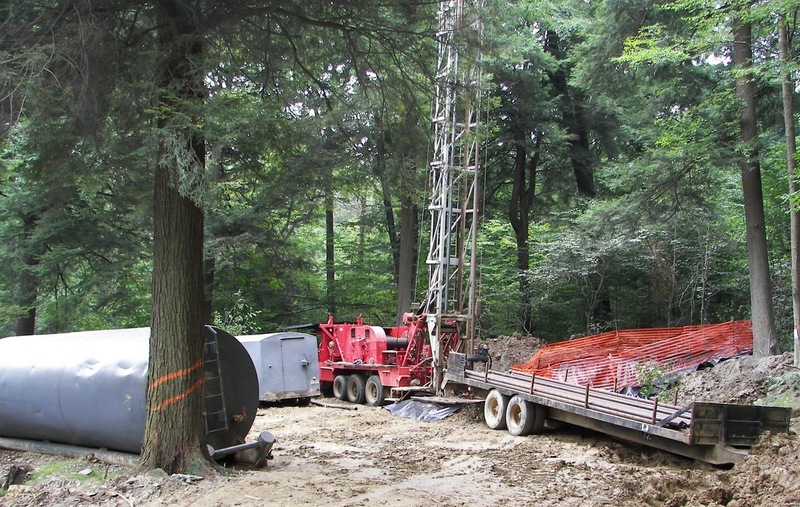 Higher conductivity has been shown to be related to Marcellus drilling. They also counted salamanders and the nymphs of caddisflies, stoneflies and mayflies. These particular species, says Mead, are especially vulnerable to changes in their environment. A reduction in the population or loss of these “indicator species” serves as an early warning that something is wrong in the environment. The scientists found that the water conductivity levels in high-density drilling areas were almost twice as high as the conductivity measured at the other sites. 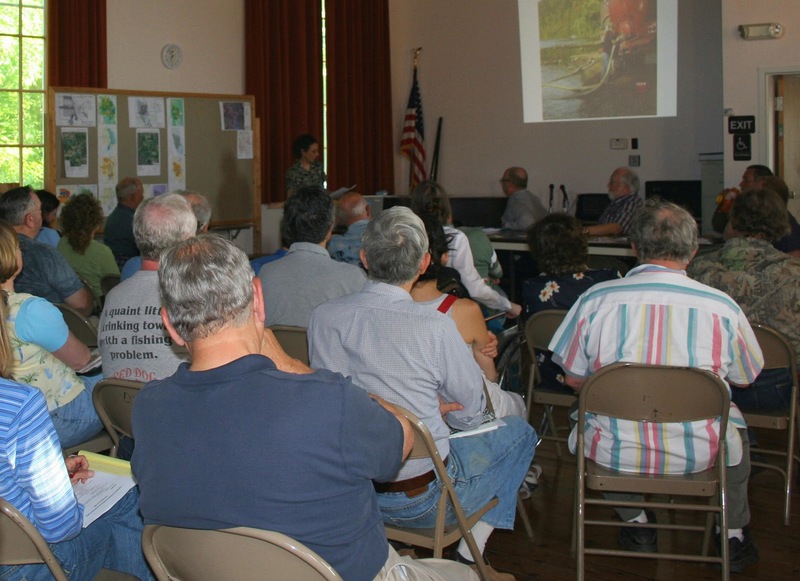 They also found a significant decline – 25 percent – in the abundance of aquatic insects and salamanders in the high-density drilling areas. Mead and Velinsky aren’t sure how the decline in the three or four indicator species will ultimately play out in how the watershed functions. “There could still be a lot of shredders that degrade organic matter in the stream,” Mead says . But how drilling impacts the overall ecosystem services of the watershed, from food sources for game fish to degrading nutrients that wash into the water … “That’s a good question that needs more study.” You can read their press release here. What makes this study particularly important for us in NY is that the NYS Department of Environmental Conservation is developing a management plan for all of the state forests. And that plan includes drilling at densities that, according to Mead and Velinsky, are not healthy for watersheds. Add to that the new, more stringent water quality requirements for all states included in the Chesapeake Bay watershed - lower levels not just for nutrients but also for sediments - and you begin to understand that drilling is not an isolated impact. Just clearing the land for well pads can affect local streams and distant estuaries. Virginia Cody wasn't planning on running for governor. This retired US Air Force captain has enough to do already, what with challenging the Pennsylvania Office of Homeland Security (OHS) to cease surveillance on ordinary citizens and her continued anti-drilling activism. Still, last week Cody announced that she's running a write-in campaign for the top office at the PA Statehouse. Cody isn't your typical PA politician. For one thing, her pockets aren't lined with donations from the gas companies. Both of her opponents, Tom Corbett (GOP) and Dan Onorato (Dem) have received scads of money from the natural gas industry. According to Marcellus Money Corbett received $372,720 and Onorato $74,300 - most of it in the past couple years. For another, Cody has called for a moratorium on further natural gas extraction. She wants the state to have time to study the impacts of hydraulic fracturing on the environment, water, animals, agriculture... But all we hear, Cody told the Times Tribune last week, "is candidates regurgitating the industry spin that there have been no confirmed cases of contamination. We know better!" What does Cody want to see happen in her state? Aside from a moratorium, she'd like to see a severance tax. Landowners, says Cody, shouldn't have to pay taxes on the wealth that the gas companies will extract. Cody is not in favor of "forced pooling" - landowners should have the right to reject a lease. And Cody would like to see local municipalities retain their zoning authority. The problem, Cody told me in an October 1 interview, is that her state government seems to be in collusion with the gas corporations. This was highlighted during the recent "Intelligence Bulletin Scandal" when Cody revealed to the press that the Institute of Terrorism Research and Response (ITRR), contracted to collect intelligence for the OHS, was targeting anti-drilling activists for surveillance. These are law-abiding citizens exercising their rights to protest what their government is doing, Cody explained. She is concerned that law-abiding citizens are being depicted as "eco-terrorists" and lumped onto a watch list that was sent out to - best estimate of James Powers (head of the OHS) - some 800 people including universities and gas industry representatives and lobbyists. You can read more about Cody's platform and her bid for office at her website. 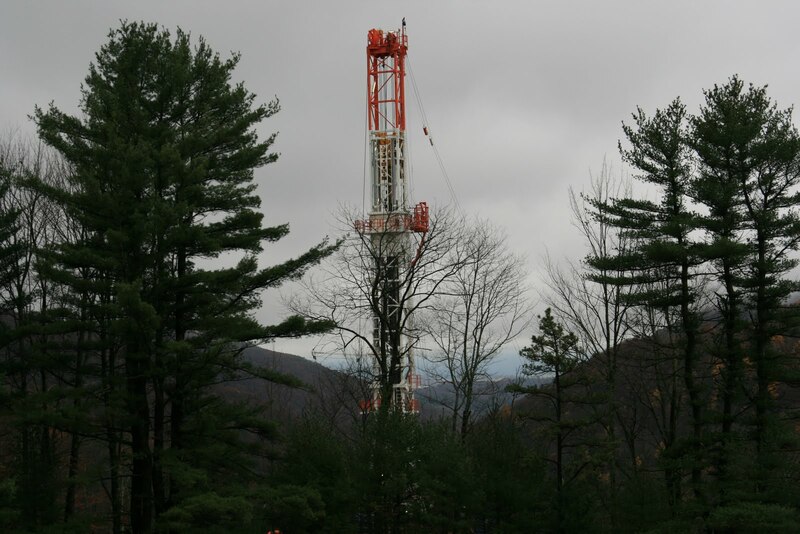 Pennsylvania State Police report that they put 208 trucks out of service during a recent three-day enforcement effort that focused on commercial vehicles hauling waste water from Marcellus Shale natural gas drilling operations. "Pennsylvania is experiencing heavy truck traffic in areas where Marcellus Shale natural gas drilling operations are taking place," Commissioner Frank E. Pawlowski said in comments to the press. He noted that traffic was particularly heavy in Bradford, Clearfield, Susquehanna, Tioga and Washington counties. 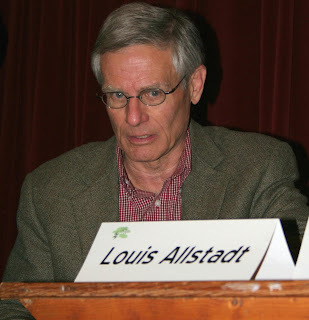 "The process of hydraulic fracturing, or fracking, requires significant amounts of water to be delivered to the sites and later trucked away," he explained. Pawlowski said that140 of the vehicles placed out of service were trucks hauling waste water from the drilling operations. The other 68 trucks were being used in support of drilling operations, or non-industry related commercial vehicles simply traveling roads where the inspections took place. PA police inspected a total of 1,135 during the "Operation FracNET," which was conducted Sept. 27-29. In addition to placing vehicles out of service, they also issued 959 citations and placed 64 drivers out of service. The most common violations cited were faulty brakes, exterior lighting issues and hauling permit violations. This isn't the first time PA police have caught gas industry trucks flouting safety regulations. During an "Operation FracNET" held June 14-16 the troopers placed 250 trucks and 45 drivers out of service and issued 669 citations. Today the PA State Homeland Security Director James F. Powers Jr - under heavy pressure for contracting out the state's intelligence gathering to a group that conducted surveillance on citizens - announced his resignation. You can read the story at the Pittsburgh Post-Gazette.